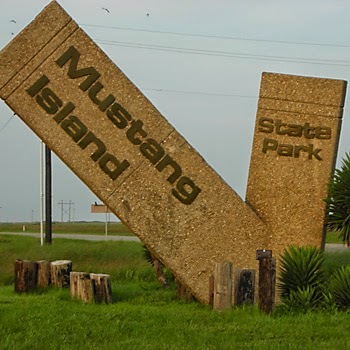 Lots of fun stuff this month at Mustang Island State Park. Sign up to join a ranger for a Saturday morning of catch and release fishing in Fish Pass! There are no guarantees that you'll catch a fish, but we'll still have a good time! We provide the poles, you just bring your bait! Since we will be outside for approximately an hour and a half, PLEASE remember to dress for the weather! Reserve your spot by e-mailing Ranger Nina with your name, group size (please specify how many children and adults), and the date you wish you sign up for. You MUST preregister for this event. Due to limited equipment, maximum capacity for this program is 10 individuals. This program is best suited for ages 8 and up.We will meet Saturday morning in the headquarters parking lot by 9:00 AM and then drive to the fishing spot (you must take your own vehicle). All outdoor programs are subject to cancellation due to weather conditions. Program is free of charge; regular entrance fees apply ($5 per adult). Preregistration required - sign up today! BYOB - Bring your own bait! For information contact Ranger Nina at (361) 749-5246 or nina.cardenas@tpwd.texas.gov.